The internet has the most extraordinary amount of beautiful dinner table decorating ideas. So being an Australian I thought I would share a few dinner tables that suit our flora and unique way of life. Australia is hot and we are casual, and as you know we are busy women so is all about keeping it stylish but keeping it real. 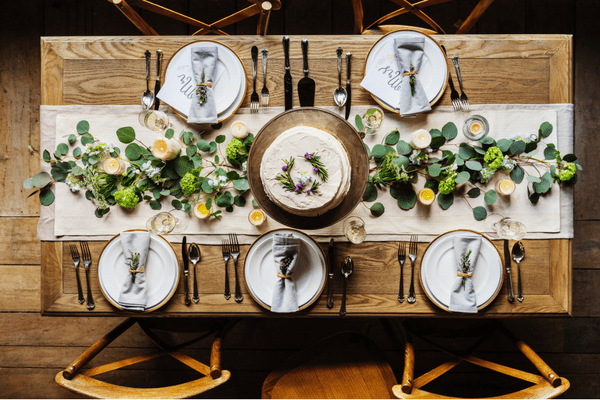 Here are some of the loveliest table styling ideas that I have on my Pinterest Board and I have plenty more stunning table decor ideas which you can follow right here. 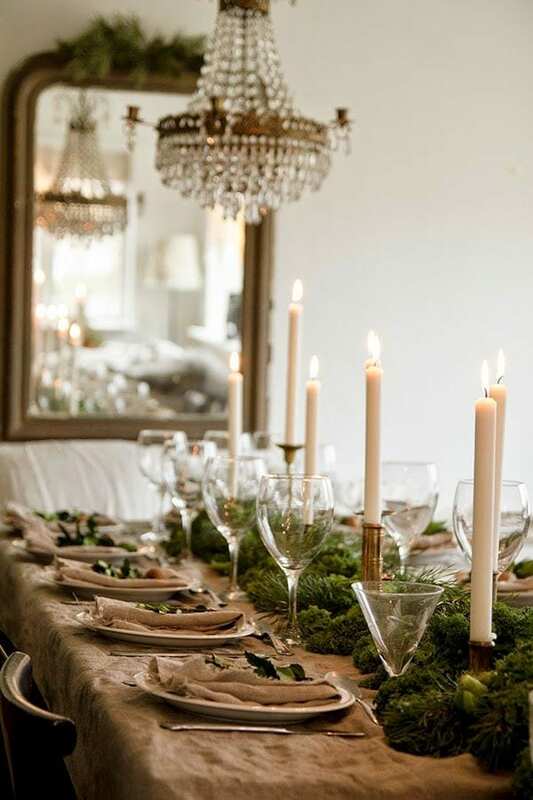 Any greenery would do for this table setting. Head out into your garden and take a look around. Small, glossy green leaves would be the best however anything strong and green would work. Use hessian or a natural linen to get this look for the tablecloth. White candles look great, are well priced and easy to find. Use any type of small candle holder, however, the brass does look lovely here. Set the places with white plates and a mix of glassware and some napkins to match the tablecloth, however, white ones would also work. Image found on Pinterest photographer unknown. 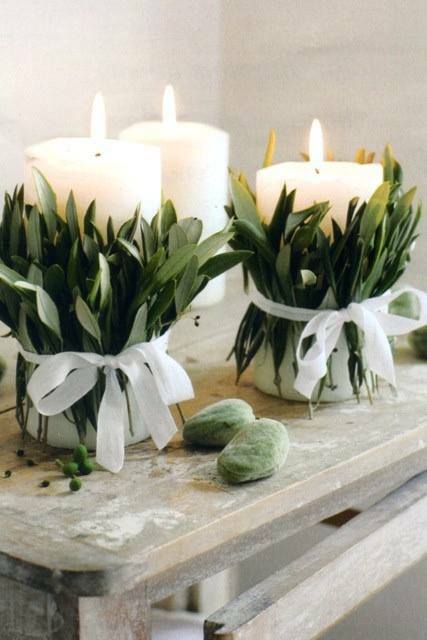 You can create this look by using Eucalyptus leaves, white natural ribbon (not synthetic) and simple white pillar candles. 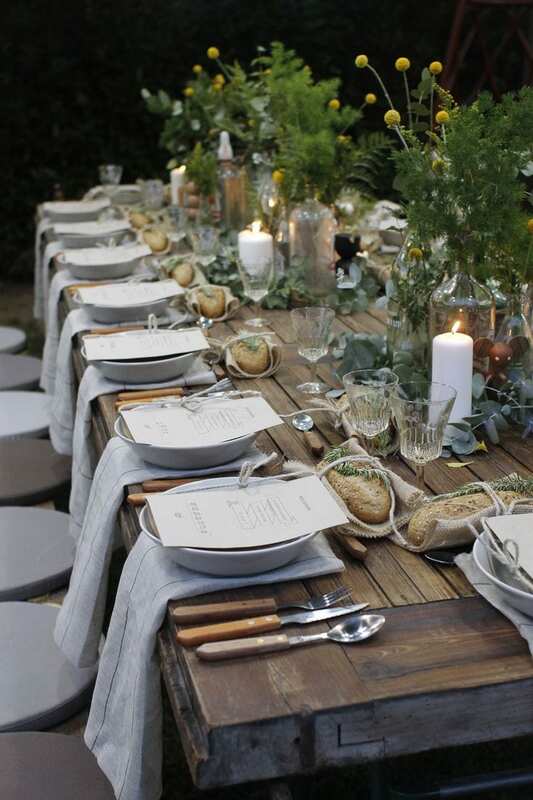 Looks lovely against natural timber for a no-fuss look and fabulous for an outdoor party. I love the little details in this table setting and they are all very easy to achieve. No table cloth is required and each element is simple to find. You will need: Lots of clear bottles of various types, foliage from trees such as Silver Dollar Gum or similar, Rosemary for the bread roll ties. You will need some natural string to secure the bread rolls. Any cutlery will do, but the wooden handles are a nice touch. Natural linen serviettes work the best but you could use white to create a similar effect. White pillar candles and clear glassware set the whole thing off. Love it! 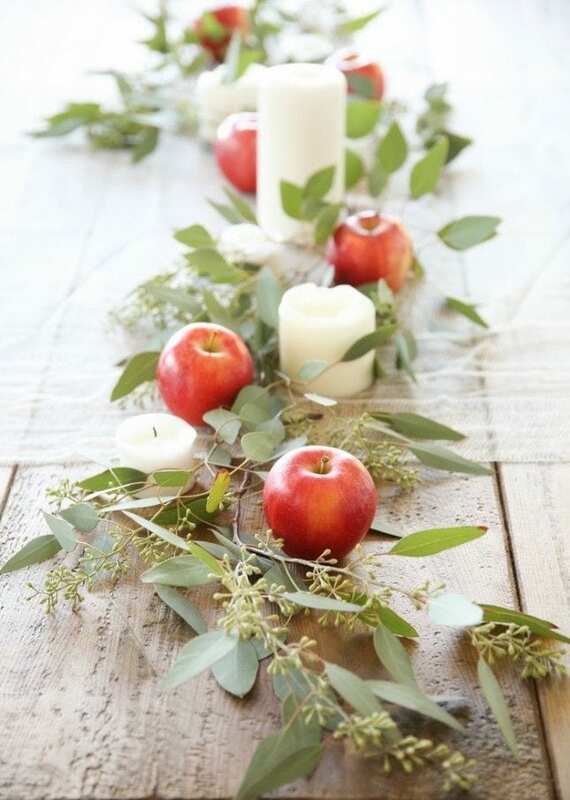 Instead of a table runner, use leaves from gum trees or similar mixed with red apples and white candles. Simple and effective and very little cost for something so cute. Most of you will simply be able to head into your garden and cut greenery of some kind. If not ask a neighbour or friend or head to your nearest florist. 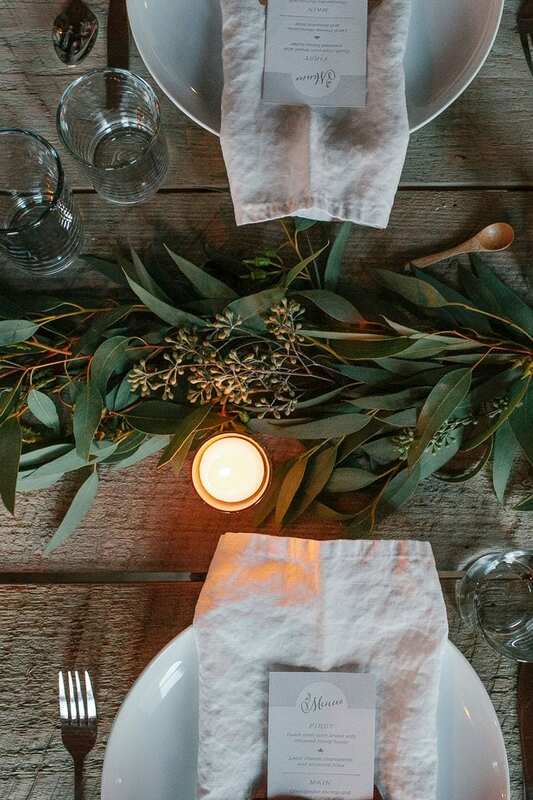 For a casual Australian table try simple gum leaves, white linen and timber. If you haven’t got access to these leaves, then any type of leave will work really. A few little tea light candles, white plates, casual glassware and you are done. Looks super stylish. Leave a comment and let me know what you think. Are you a casual table gal or do you love the full-on formal look? As a working woman, my lifestyle is really important especially as I work from home. I wanted to create tours where we could bring women together to celebrate life with design and lifestyle in mind. If you would like to spend time in beautiful Italy then register your interest and I’ll keep you in the loop with upcoming tours without obligation. Simply click here. Until next time, love your home and those within it.